The clock chimes and it is 7 o'clock in the morning. The time when everybody is upbeat, excited to kick their day with lots of expectation. In as much the whole world will be experiencing the frenzy of seeing their day turn out. One person will be trying so hard to crouch out of bed. Perhaps they will be in a bad mood because they have knee pain. Knee pain will be denying them everything that is possible for them to approach their day with much enthusiasm and excitement. Any person that is going through this situation is either trying to see the inside of the coffin or lacks information on how to end this. Fortunately, this article it is for the latter person who is craving to solve this mystery. To get the ball rolling here is what you may need to know about knee pain. Shocking Situation That Will Make You Have Knee Pain. Several things cause knee pain. It just doesn't happen like a flash. It is a series of activities that you do every single day that causes lots of pressure on your knees. This can be the daily operations that you go through. Perhaps, your body is telling you to reduce the number of activities. An Accident that takes place every single day will make you experience this pain. 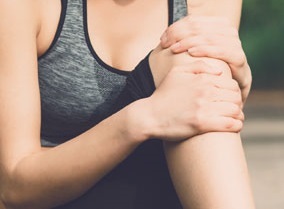 An Athlete who is also burning out and trying so hard may likely have a knee pain. Because as they go through their daily practices, lots of pressure is put on their knee. To people who spend most of their days sitting, they tend to have knee pain, because their knees muscles are probably constructing together. Individuals who are obese, tend to pause lots of pressure on their knees and they must continually cut down their weight. So that there is a balance. Sometimes it may not be from all the above situations. But as compensation for the pain from other parts of the body. Professional Advice From Dr. Nektalov That Will Make Knee Pain A History In Your Life. I can't emphasize how important this is in your life. The reality is that proper exercise relieves your knee muscles from tension. To have better results from this, you might consider biking, where you ride a bike because it will make your knees have less strain. You must maintain your weight. There must be a balance. Your knees shouldn't bare lots of pressure in supporting the upper body. How Dr. Nektlov Deals With Matter. One of the best chiropractors has a wealth of experience in this area. He understands the musculoskeletalsystem to the core. By spending 30 minutes with you, he will tell you which part of your ligaments, or muscle is causing the havoc in your knees. And he will even work with your surgeon so that you could receive the best therapy that suits your needs. I believe this article has been a great eye opener for you and your family. For professional advice on this matter, you have a caring professional like Dr. Nektalov of Nektalov Family Chiropractic & PT.